The Get-ADGroup Cmdlet pulled out the groups easily enough, but the there wasnâ€™t a property representing the group objectâ€™s parent, nor is there an LDAP property that I could request (AFAIK). The objectâ€™s parent is contained within the DistinguishedName (DN) property, though. I just need to strip off the CN. I could split the DN on commas, remove the first element, and then reassemble whatâ€™s left to get the parent. I also needed to avoid splitting on an LDAP-escaped comma where a value actually contains a comma (e.g., CN=). 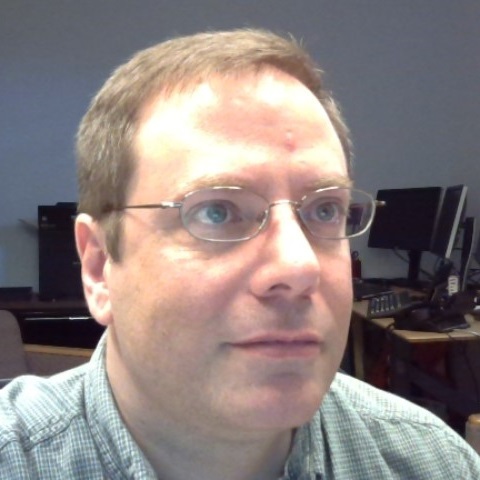 This entry was posted in Posts and tagged ActiveDirectory, cli, Code, PowerShell, Scripting on July 12, 2012 by Geoff. ESET has fixed the problem that caused widespread system hangs. If you followed my instructions to disable NOD32, you can re-enable it by repeating those steps and changing one word: replace disabled with auto. 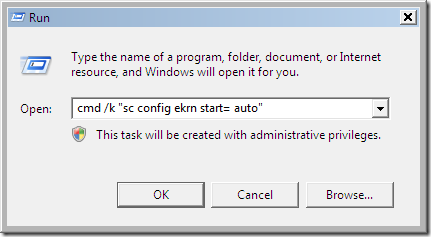 cmd /k "sc config ekrn start= auto"
3. Watch for the success message, and reboot. This entry was posted in worklog and tagged antivirus, cli, eset, service, Troubleshooting on August 5, 2009 by Geoff. Iâ€™ve spent most of the day trying identify a systematic way to work around the campus antivirus solution, which is causing widespread system hangs. Our vendor has tentatively identified a problematic recent update, and is recommending that affected users temporarily disable the Eset Service service until a patch is available. 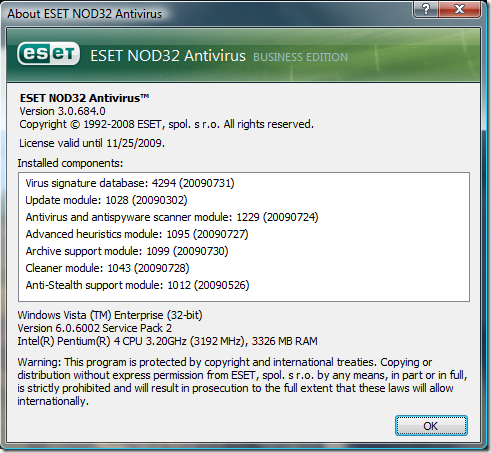 Disabling ESET NOD32 / ekrn Service. 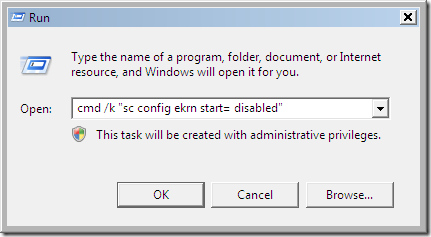 cmd /k "sc config ekrn start= disabled"
Reboot and stay tuned to your friendly neighborhood technical support resources for updates. PS. 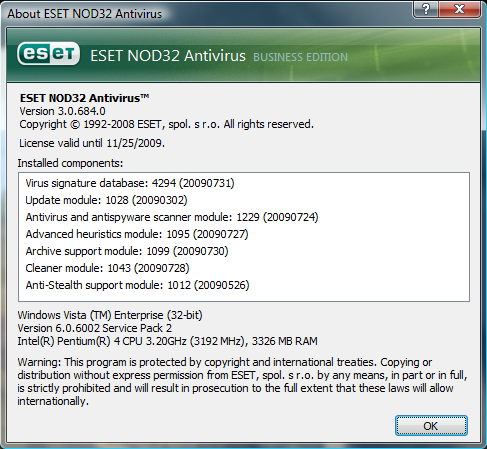 for what itâ€™s worth, hereâ€™s my current ESET version info, which hangs my system. 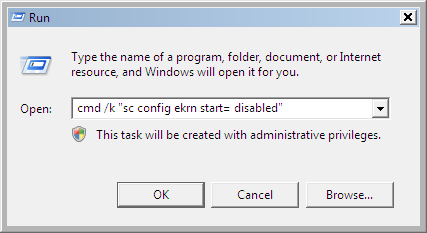 This entry was posted in worklog and tagged antivirus, cli, eset, service, Troubleshooting on July 31, 2009 by Geoff.